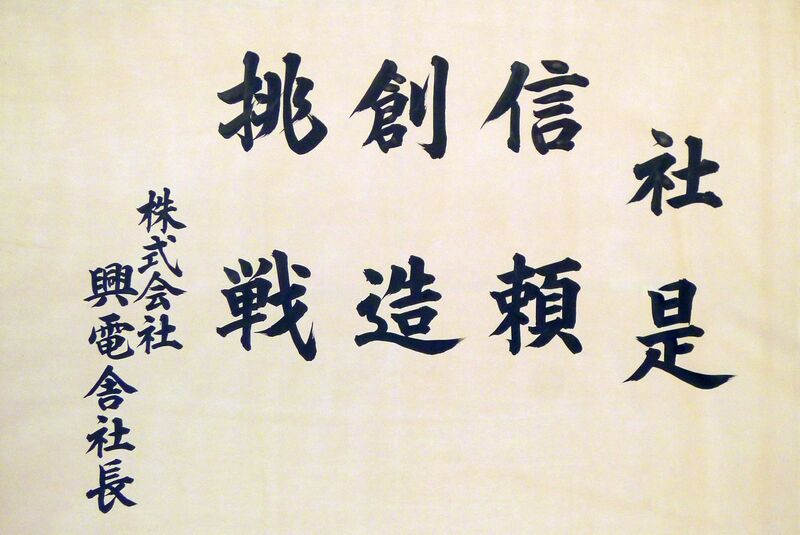 Our company’s motto was succeeded to the founder of Ichiro Suzuki and was established by Kimio Suzuki in 1982. Kodensha places its foundation on trust, creativity, and challenge. We place the foundation of our business on trust. Each employee reflects himself on what to improve to enhance self-reliance. Kodensha’s employees face each other, support each other, and cultivate each other beyond section, a process which directly reflects back to our customers. Since foundation, under the mission of supporting productive activity, each staff has constantly kept thinking what to add to keep freshness and aim for a creative and a lively organization with the understanding of enhancing ones value through change. We place importance on our staffs’ spontaneous challenge as well as supporting fellow workers. Building an environment which allows challenge and support is essential for each of our staffs growth. We regard ourselves as a group of challenging professionals spearheading our own continuing growth.